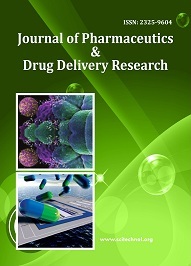 Journal of Pharmaceutics & Drug Delivery Research (JPDDR) promotes rigorous research that makes a significant contribution in advancing knowledge for Drug Delivery Research. The journal includes all major themes pertaining to Pharmaceutical Technology, Biopharmaceutics, Pharmacokinetics, and Molecular Drug Design. Pharmaceutics & Drug Delivery Research is a subscription based journal that provides a range of options to purchase our articles and also permits unlimited Internet Access to complete Journal content. It accepts research, review papers, online letters to the editors & brief comments on previously published articles or other relevant findings in SciTechnol. Articles submitted by authors are evaluated by a group of peer review experts in the field and ensures that the published articles are of high quality, reflect solid scholarship in their fields, and that the information they contain is accurate and reliable. The journal is using Editorial Manager System for quality in review process. Editorial Manager is an online manuscript submission, review and tracking systems. Review processing is performed by the editorial board members of Journal of Pharmaceutics & Drug Delivery Research or outside experts, at least two independent reviewers approval followed by editor approval is required for acceptance of any citable manuscript. Authors may submit manuscripts and track their progress through the system, hopefully to publication. Reviewers can download manuscripts and submit their opinions to the editor. Editors can manage the whole submission/review/revise/publish process. The study of the physical and chemical properties of drugs and their properties and drug dosage as related to the onset of action of a drug, duration, and intensity of drug action. The evaluation of the chemical and physical properties of drugs and the biological effects they produce. Biopharmaceutics as its dosage form as related to the onset, duration, and indication of its action. Bioavailability is said to be the amount of drug that is reaching into the systemic circulation or blood or the rate of extent of blood that is reaching into the blood is known as bioavailability. Bioavailability alludes to the degree and rate at which the dynamic moiety (medication or metabolite) enters systemic flow, in this manner getting to the site of activity. A Condition or symptom where to give a indication against the advisability or to give advice against a treatment. Drug delivery refers to approaches, formulations, and transporting a drug compound in the body as needed to administer a safety and therapeutic effect. 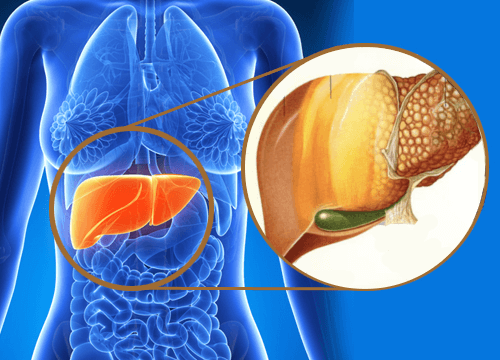 It may induces site-targeting within the body, or it may involve facilitating systemic pharmacokinetic and pharmacodynamic properties i.e., administration, metabolism, excretion etc. Abnormal biochemical and cellular changes caused by disease are identified, and then compounds that may specifically prevent or correct these abnormalities (by interacting with specific sites in the body) can be designed. Drug Metabolism is said to be process by which the body breaks down and converts medication into active chemical substances. Toxicology is a branch of Medical Science that deals with the effects of chemical compound used in diagnosis, treatment, or prevention of disease or other abnormal condition on the body. Drug metabolism involves the enzymatic conversion of therapeutically important chemical species to a new molecule inside the human body. 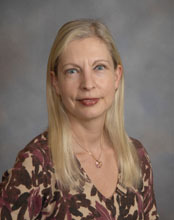 Drug safety databases contain professional assessment of the potential of drugs. This database permits the risk-profit analysis of medicinal products taking under consideration new and emerging information, within the context of additive data. Drug safety database offers programming of alerts for fast cases, follow-up cases and reports submission to fulfill regulative timeline compliance. Drug Safety Information maintenance maintains periodic report preparation method so as to enable the surveillance and signal detection that allows for the delivery of greater patient safety. Drug targeting is the art of science where the drug delivery is aiming for delivery of the particular compound to a particular tissue or a part of the body. Drug stability involves the length of the time a drug regains its properties without loss of potency; usually referred to as shelf life. Industrial Pharmacy is a branch of pharmacy which includes manufacturing, development, marketing, distribution of products of formulations will takes place. Industrial pharmacy has 2 research areas those are pharmaceutical industry and pharmaceutical technology. The research topics are focused on solving current general problems in pharmaceutical industry, such as formulation and characterization of sticky amorphous drugs, problem-solving for pediatric medicines and miniaturization of manufacturing processes. Molecular design of a drug involves the molecular modeling by various researches, and also involves the chemical and structural changes in the modeling of molecule or compound. Nanopharmaceutics can be defined as the science that applications with the implementation of the standards of nanotechnology in pharmaceutics. These conveyance frameworks, in light of their size impact, are equipped for changing the properties of a medication, including their bioavailability, biodistribution and pharmacokinetics. The application of scientific knowledge or technology to pharmacy, pharmacology, and the pharmaceutical industry is said to be the Pharmaceutical Technology. Pharmaceutical technology implies to the advancements of modern technology towards the pharmaceutical field in the area of manufacturing, research, clinical and analytical and many more. Nanotechnology is a multidisciplinary field where the joining of fundamental sciences and connected controls like biophysics, molecular science, and bioengineering. It has made high impact effect in different fields of solution including cardiology, ophthalmology, endocrinology, oncology, pulmology, immunology etc. Pharmaceutics is a branch of pharmacy which deals with formulation, compounding, dispensing, of the pharmaceutical ingredient. The entire drug medicament possesses the therapeutic effect. Pharmaceutics is the interdisciplinary course in which the research and preparation, manufacturing of pharmaceutical components will takes place, starting from the drug design and to marketing all steps are crucial to drug to develope. Pharmacokinetics is the study of absorption, distribution, metabolism, and excretion of drugs. 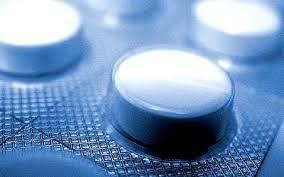 Pharmacotherapeutics is the science where the study of therapeutic uses and effects of drugs takes place. Medications don't act in the same route in all people, and patientto-quiet variability in medication reaction is exceptionally regular. Helpful variability may be brought about by contrasts in patient body size and organization, age, sickness, natural components, and hereditary impacts. Pharmacovigilance is a branch of pharmacology, relate to the collection, detection, assessment, monitoring and prevention of adverse effects or side effects of pharmaceutical products or formulations. A class of medications, at first in idle frame, that are changed over into dynamic structure in the body by typical metabolic procedures. A prodrug must undergo chemical conversion by metabolic processes before becoming an active pharmacological agent. 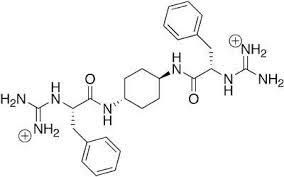 Initially a prodrug is administered as in inactive form.eg: cyclophosphamide (inactive)- Cytochrome P-540(active). The unintended effect of any drug that induces any reaction or causes harmful effect to body. *2016 Journal Impact Factor is the ratio of the number of citations achieved in the year 2016 based on Google Search and Google Scholar Citations to the total number of articles published in the last two years i.e. in 2014 and 2015. Impact factor measures the quality of the Journal.